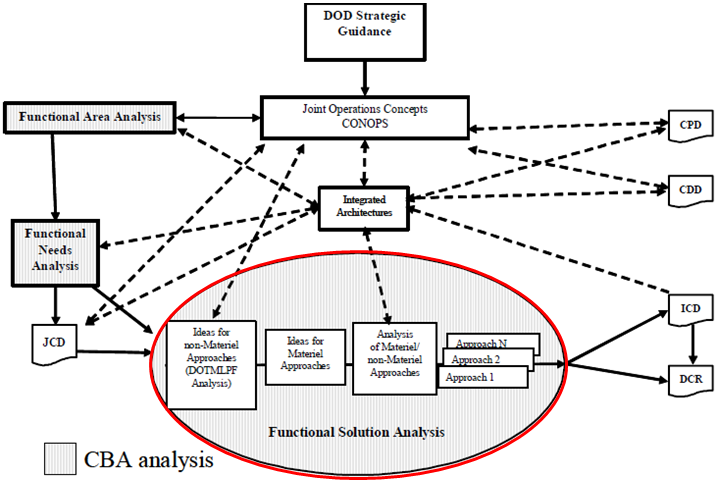 A Functional Solution Analysis (FSA) is the operationally based assessment of potential Doctrine, Organization, Training, Materiel, Leadership and Education, Personnel, and Facilities (DOTMLPF) approaches to solving (or mitigating) one or more of the capability gaps identified in the Functional Needs Analysis (FNA). It’s contained in the Capabilities Based Assessment (CBA). The current CJCSI 3170.01H does not reference an FSA. 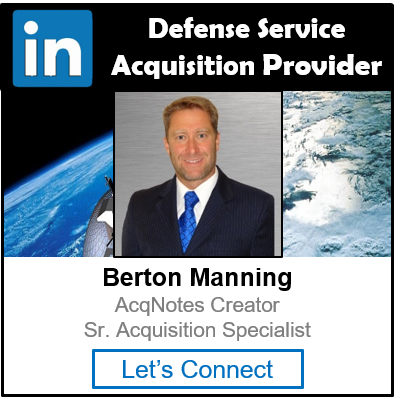 It rolls it up under a Capabilities Based Assessment (CBA). You have to view previous versions of the 3170 to get a description of a Functional Needs Analysis (FNA) and FSA.